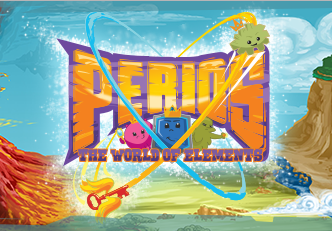 Download from Google Play for Android search "The Elemental Quest"
New Perios Activity Learning Kit available! Carbo helps turn seawater into drinking water. Xen lights world's largest artificial sun to try to help Hydi make clean fuel. IBM trains Holms to create new single atom data storage. Moly and Tellur team up to make new crystal material.